Credit Card Payment Techology: Is NFC Dead? 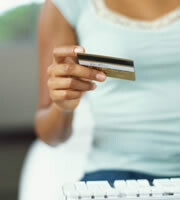 IndexCreditCards.com has previously reported on how near-field communications (NFC) was set to revolutionize the way we pay using credit cards and other plastic. Now, quite suddenly, it appears that a newer technology may be set to knock NFC out of the race. You're probably familiar with NFC. In fact, you may already have used it, because it's out there in various stores, restaurants and so on. It's the technology that enables you to wave an enabled card or smart device near a terminal at a point of sale (POS) instead of handing over a card to be swiped. You then authorize the payment on your device, and the transaction's done. Its range is limited, so you have to get your enabled card or device really near the POS payment terminal. Only fairly few smartphones contain NFC chips, so the chances of any given consumer being able to try it out are slim. And few consumers means few retailers are prepared to buy POS terminals. Various companies, some with their own agendas, held back its adoption. The fourth and biggest challenge arose in mid-September, when Apple launched its latest iPhone models. The 5S and 5C contain an innovation that literally nobody was talking about: Bluetooth LE (BLE). It took about a week for geeks to recognize its significance. Apple now also sells affordable ($99 each) BLE iBeacon devices, each of which has a 160-foot range, to organizations, and these can be placed strategically around buildings. Apple suggests a museum or gallery as an example. When you visit, you download an app to your BLE-enabled smart device, enable it and wander off. The multiple beacons can triangulate your location with pin-point accuracy, and send to your iPhone fascinating information about each particular exhibit as you're standing in front of it. Yeah, right. Apple developed all this for museums. Imagine that in a store. The retailer's computer knows you've been looking at a particular Sony 3-D television for 120 seconds, and automatically sends to your iPhone a detailed list of that model's features. At 240 seconds, you receive a tempting one-off, limited-time electronic discount voucher. Or you're browsing the cereal aisle, and ping! Why not try this new line from Kellogg's? Museums, indeed. You can see why such a technology might tempt retailers. But is even Apple big enough to lure them away from NFC? Maybe not, but within days of the new iPhones' launch, both PayPal and Google Wallet unveiled their own BLE plans. Indeed, PayPal has launched its own Beacon in competition with Apple. Together, these three giants might just have the muscle to get their way. On Sept. 18, the NFC Forum ("a non-profit industry association that advances the use of Near Field Communication") named Paula Hunter as its new executive director. For Ms. Hunter, it must have felt like accepting the captaincy of the Titanic at the very moment the sickening scream of steel on ice was first heard. Certainly, BLE is in a strong position. To start with, NFC requires a dedicated chip to be built into a smartphone or tablet before it can work, and so far, as mentioned above, relatively few have one of those. But just about every such device is already Bluetooth-enabled. So, for example, if yours is running Android 2.3 or higher, you should be able to take advantage of the new services -- although only once retailers and others have installed the necessary equipment at their end. But, from a retailer's point of view, BLE has its own drawbacks, which may be why a recent Bank Systems & Technology report reckons it's still too soon to order NFC's casket. To start with, many smart-device owners don't currently have Bluetooth turned on. And to "pair" with another device you have to go into "discoverable" mode, and then authorize the connection. Then there are likely to be apps to be downloaded, Are consumers up for all that? Moreover, there could be real consumer resistance to the whole surveillance aspect of the technology. Many Americans might feel the NSA is already doing a bang-up job of spying on them, and that nobody else needs bother, thank you very much. Indeed, they may regard as positively creepy the idea of big corporations knowing precisely where they are, and precisely what they're thinking of buying. Having said all that, you might find greater peace of mind if you just accept that the anti-privacy tide is coming in whatever you say or do. You might even get yourself a cheap 3-D television. 0 Responses to "Yet another revolution in credit card technologies?"